Today I received an email from NetFlix about an important change to my account stating that my account will be going up from $8.99 per month to $9.99 per month. I am a little disappointed in the rate increase because I have been a loyal NetFlix customer for about 2 years and have referred all of my friends, family and online communities to join the Netflix service. I feel that they should honor my rate of $8.99 per month as well as all existing customers and implement the new pricing to new NetFlix subscribers only. I am not going to cancel my service due to this price increase, because in my opinion the NeFlix service is still worth the new monthly fee of $9.99, but it would have been a nice gesture from NetFlix to honor the existing customers prices. I would have felt like NetFlix values me as a loyal subscriber had they honored my $8.99 monthly fee. We want to let you know about two important changes to the Netflix service. 1. The price of your current plan is changing from $8.99 a month to $9.99 a month. This new price will be effective with your next billing statement on or after January 2, 2011, and will be referenced in your Membership Details. With your current plan you can both instantly watch unlimited TV episodes and movies on your computer or TV and receive unlimited DVDs by mail. 2. We now also offer a new $7.99 a month plan which lets you instantly watch unlimited TV episodes and movies on your computer or TV. This plan does not include any DVDs. All the titles you can watch instantly on your current plan are also available on this new plan, and as a reminder, not all titles on DVD are available to watch instantly. This new plan is available immediately – if you’d like to switch to this new plan at any time, simply visit Your Account. Why the changes? Our selection of TV episodes and movies available to stream has grown dramatically, and as a result most members want us to deliver unlimited movies and TV episodes two ways: streaming instantly over the internet plus DVDs by mail. The price change will allow us to continue to offer the popular plan choice of unlimited TV episodes and movies streaming instantly along with unlimited DVDs. The new plan, which does not include DVDs, is a great option for the increasing number of members who only want to watch instantly. The $7.99 a month price reflects no DVD shipping costs on this plan. We hope you’re enjoying great TV shows and movies from Netflix, and that you’ll continue to enjoy Netflix on whichever plan you choose. We realize you have lots of home entertainment options, and we thank you for your business. As always, if you have any questions, please call us at 1-800-715-2146. How do you feel about the NetFlix increased monthly fees? Are you going to cancel your Netflix account due to the monthly service increase? As an existing Netlix subscriber how do you feel about the price increase? Coupon Detail: 3 months free for annual VPS sign up, 4 months free for 2 year VPS sign up, 6 months free for 3 year VPS sign up. vps123: 3 months free for annual signup, 4 months free for 2 year signup, 6 months free for 3 year signup. Let me know if this worked out for anyone. Discount Coupons for Web Hosting, Domain Name registration and more. Here are some discount coupons for KissMyDomain.com if you are planning on purchasing any of the following services from this company you can apply the coupon code at the check out page and save some money. Here are some of the products you can save money with these coupons. Please post a reply below if any of these coupons stop working. Carbonite Back up service is slow and I do not recommend it to someone with a lot of files to back up. I received this email today from Carbonite Back up service asking if I would like to renew my subscription, but here is my dilemma I have had Carbonite for almost a full year now and I still don’t have all of my files backed up; in fact I only have maybe half of my files backed up, so the question is should I pay another year for this service and hope that someday all of my files will be backed up or do I save the money from this subscription service and just keep backing up my files on a local hard drive using my Macs Time Machine Feature which is completely up to date and I have had no problems recovering files from my local back up drive in the past. I think I am going to cancel my Carbonite subscription and continue backing up with my local drive using the Apples Time Machine feature, and if that back up drive ends up breaking then I can use the money saved on the Carbonite service to buy a new external hard drive. Watch my Video review about the Carbonite Back up service here. I have had the Logitech QuickCam Vision Pro Webcam for Mac since November of 2008 and when I first started using this camera it worked fine, but I have discovered that after I updated my Mac OS to the new Snow Leopard operating system my Logitech QuickCam Vision Pro Camera has stopped working if I try to use it in a video chat with ichat, skype or any other chat software with video chat capability. Have you had this same problem with this Camera and do you know if Logitech will make an update for this camera? 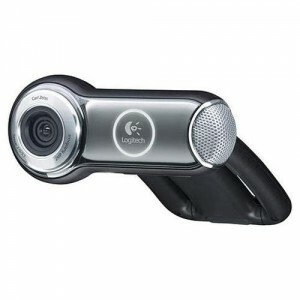 Logitech offers a 2 year Warranty on the QuickCam Vision Pro. November 9th 2010 Update: I called Logitech today and they are going to send me a new Quick Cam Vision Pro read the full article here. I have the Logitech MX Revolution Mouse, and lately it has been acting weird like when I try to left click on something it does not respond or when I try to highlight text it will not highlight the text I am trying to highlight but rather it seems to highlight what ever it feels like highlighting. I have had this Logitech mouse for almost 2 years now and I am using it with an Apple Mac Pro computer. Does anyone else have similar issues with this mouse? 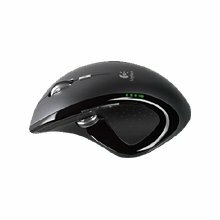 Logitech Warranty for the MX Revolution is 3 years, so if you purchased your mouse within the last 3 years you should be able to do a warranty exchange if your mouse is defective due to a hardware problem. Read my warranty exchange story for my Logitech MX Revolution, and how awesome the warranty exchange was for me. I am getting the new Performance MX Mouse as a replacement.